Robert and Sarah called Advokids’ Hotline for help after 9 agonizing months of waiting to have their 3 year old grandson Kai placed in their care. They had been an important part of Kai’s life since his birth, and when he was abruptly removed from his mother’s care and placed in foster care, they rushed to claim him. They were stymied by the county child welfare agency’s continued delays in placing Kai with them, and were allowed limited visitation with Kai. Advokids’ legal and social work staff helped Robert and Sarah intervene and access the juvenile court to let the judge know that Kai was suffering from his separation from his grandparents whom he loved and trusted. The judge ordered more frequent visitations between Kai and his grandparents, which quickly grew to overnight visits. Soon after overnight visits began, Kai’s foster parents, grandparents, and county social worker coordinated efforts to “transition” Kai to the home of his grandparents. Advokids continued to support Robert and Sarah until a permanent guardianship was established to secure Kai’s future in their care. Rebecca and John received baby Eli into their foster home when he was three months old. He was born drug and alcohol exposed and was far behind healthy infant developmental milestones. 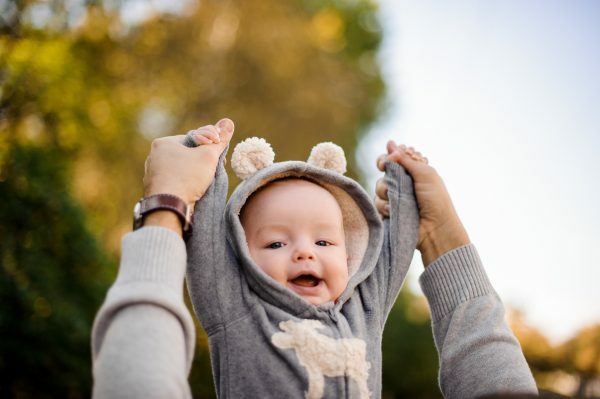 Over the next twelve months his foster parents, a team of specialized health professionals, and occupational therapists worked tirelessly to give Eli the care and support he needed to overcome his deficits and grow into a thriving healthy baby. After thirteen consecutive months with his foster family, when it was time to move forward with the permanent plan of adoption, Eli’s social worker proposed a plan to move him to an out-of-state relative. Eli had met this relative only once, during a brief visit. Rebecca and John called Advokids to ask how they could advocate for Eli. They understood that Eli’s emotional growth and development were dependent on a stable, predictable, and nurturing caregiving relationship. They were concerned that Eli would suffer a traumatic loss if abruptly moved out of state. Advokids’ Hotline staff explained how they could bring their concerns to the juvenile court judge who ultimately should decide what plan was in Eli’s best interest. Advokids enlisted the help of Tom Paoli, an attorney on our pro bono roster, and Wendy von Wiederhold, Ph.D, a pro bono child development expert. 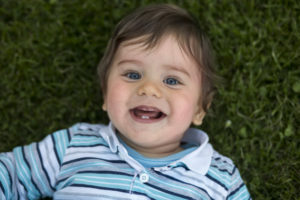 Together with Eli’s pediatrician and caregivers, this “dream team” demonstrated to the court over the course of several months that the adversities Eli had already faced in is short life, as well as his close bond with his caregivers at the critical stage of his development at one year of age, was evidence that an unnecessary move would not be best for Eli. After 21 months, Eli is on track to be adopted and become a permanent member of Rebecca and John’s family. Tanya called Advokids, concerned about her 9-year-old grandson Thomas. Tanya was Thomas’s legal guardian, because his parents were unable to care for him. 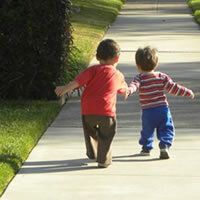 Thomas had a baby sister, Cassie, who was in foster care and Thomas visited her regularly. When Cassie was moved out of their county, all visitation was terminated and Thomas was devastated. Advokids helped Tanya file a court petition on Thomas’ behalf, asking the court to reinstate sibling visits. In his petition to the court, Thomas stated that visitation was what was best for his baby sister because, “I love her and she knows happiness when she sees me.” The trial court denied Thomas’ petition so Advokids helped file an appeal and Thomas won! The Court of Appeal decision stated that the county child welfare agency had “acted in excess of its authority” when it suspended visitation. Thomas and his baby sister are now a part of each other’s lives again. Jake was 10 years old and had been in and out of foster care since the age of 3. He had been returned to his mother’s care twice but both times he had to re-enter foster care because he wasn’t safe. When Jake re-entered foster care in 2017, Jake’s mother was no longer considered for placement. Jake’s father had not had any contact with Jake for the previous 6 years despite the county social workers’ repeated attempts to engage him in a relationship with Jake. However Jake’s father was now being considered for placement. When Jake began visits with his father he started to experience serious behavioral indicators of stress and anxiety. His foster parents were concerned for him and voiced their concerns to his social worker and his attorney but the visits continued, as did Jake’s fears and anxieties. Jake’s foster parents reached out to Advokids to learn how to go directly to the juvenile court to protect Jake. With Advokids’ help, they successfully petitioned the juvenile court for a hearing to voice their concerns about Jake and ask the court to mitigate any further trauma. The judge, grateful for the information they brought to his attention, suspended visitation and requested medical and mental health assessments to ensure safe, secure, and healthy visits for Jake. The judge prioritized Jake’s emotional and developmental well being. A win for Jake! 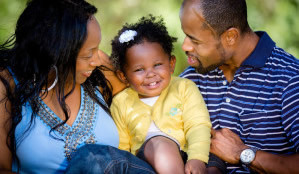 Andrew came into foster care at birth and was placed in a foster-to adopt home with Alicia and her husband. Andrew was 11 months old and thriving in their care when Alicia was told that Andrew was to be moved to a distant cousin whom he had never met. When Alicia called Advokids, visits had begun with the cousin and Alicia and Andrew’s pediatrician were very concerned about Andrew and the behavioral and health stress signals that Andrew was exhibiting after visits, including asthma attacks. 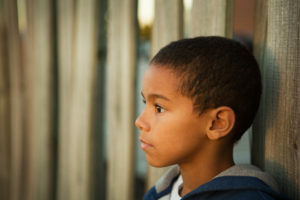 Mindful of the trauma a placement disruption could cause, Advokids’ hotline staff helped Alicia petition the juvenile court and share a letter of medical concern from Andrew’s pediatrician. In his letter, the doctor described the symptoms Andrew was exhibiting and shared the research findings on the dangers of precipitously moving a 12 month old who is securely attached to his caregivers. Advokids also reached out to our pro bono panel and enlisted an attorney to help Andrew’s foster-to- adopt parents. With the help of the pro bono attorney, Andrew’s foster-to-adopt parents fully participated in their court hearing and brought vital information to the judge about Andrew and the laws that protected his current placement. As a result, the court intervened to stop the move and ordered Andrew to remain with Alicia and her husband, caregivers who had a deep, stable bond that was deemed to be critical for Andrew’s well being. 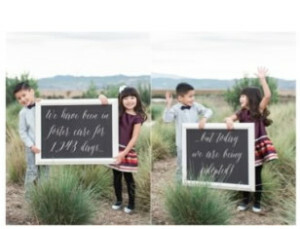 They are currently awaiting adoption finalization. 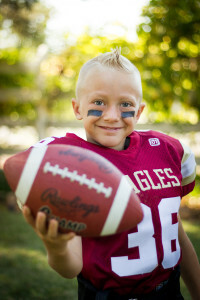 Daniel just turned 5 and has been in foster care for 19 months. He is in his third placement. Daniel was going to have to miss his school performance to attend his court hearing this week. His fost-adopt mom and dad were worried because Daniel was afraid to go to court and very sad about missing a big day at school. They called Advokids' free telephone hotline for help. Advokids' legal telephone hotline staff explained to Daniel's 's fost-adopt parents that since he is now 5, the law requires his attorney to see him before each court hearing but he is not required to go to court. We encouraged them to email Daniel's attorney and underscore Daniel's history of trauma, his fears, and his need for stability. Daniel's attorney accommodated a meeting with Daniel in the privacy of her office, and Daniel performed in his school play with his classmates. It was a great day! 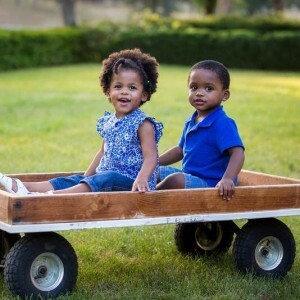 Sophia and Mason had been seriously neglected and entered foster care at the ages of 1 and 2. They were placed temporarily in separate homes and then placed with Alexandra, and her husband, foster-to adopt parents. After three months, they were abruptly moved to an aunt’s home. Seven weeks later, that placement failed and they were returned to Alexandra’s care, where they slowly began to heal and thrive. The children had been in Alexandra’s care for 9 months when the county child welfare agency started overnight visits with mother. The children exhibited anxiety and alarming behaviors when they would return from their visits crying, eating, and sleeping excessively. Alexandra felt that the children were suffering and no one was listening so she called Advokids. Advokids' legal staff helped Alexandra file court forms and bring her concerns to the juvenile court judge who ordered that the overnight visits continue. Three months later, Mason and Sophia’s mother went to jail for armed robbery and the county agency started yet another search for a relative placement. Despite the fact that not one relative had shown an interest in the children throughout the entire year that Alexandra had been loving them and meeting their special needs and against the advice of the children’s therapist, Mason and Sophia started visits with an uncle. Recognizing that the children’s need for security and stability were not being considered, Advokids secured a pro bono attorney to help Alexandra fight for them. Finally, after being in foster care for three and a half years, Mason and Sophia were adopted by Alexandra and her husband. Marie was five weeks old when she and her older brother were removed from their mother's care and placed into Amy's home. They thrived under Amy's care for two years, then the county attempted to reunify Marie and her brother with their mother and a new baby brother. That placement failed, and the county attempted to place the three children in a new foster home. That placement failed also, and the children were moved for the fourth time to a new foster home. Meanwhile, Amy was trying to offer a forever home to Marie. It became apparent that the placement disruptions had traumatic implications for Marie. Thats when Amy called Advokids. Advokids helped Amy access the juvenile court system and submit evidence of the trauma Marie had endured in her four and a half years in foster care. With the support of Marie's new foster family, Amy was able to adopt Marie in 2015! Jessica was abandoned at birth and entered foster care. She spent 6 and a half months in a temporary foster home before she was placed in her potentially adoptive home. When she was 14 months old, her biological father requested visits with Jessica. Her biological father was a stranger to Jessica and his sporadic visits were difficult for her, as she had already experienced significant trauma and loss. 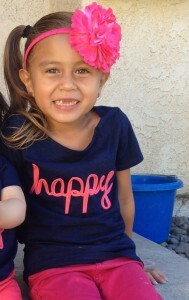 Jessica's foster-to-adopt mother called Advokids concerned about Jessica's emotional health and development. Advokids taught Jessica's foster-to-adopt mother how to obtain legal standing so she could bring Jessica's behaviors to the attention of the court and advocate for Jessica's security and stability. Jessica is now thriving and happy in her permanent home. Annie was abandoned by her mother and entered foster care at birth. She then spent her first 4 years of life with her grandmother but was removed from grandmother’s care due to neglect. After she was returned to foster care, Annie experienced five placements in three months before she was placed in what would be her adoptive home. Haley, Annie’s new “mom,” was committed to helping Annie heal from the trauma she had suffered in her short life. Julia and Jace came into foster care at two months old. They suffered from severe malnourishment and neglect. A stable, loving, and secure home was the "intervention" they needed to become the happy healthy children they are today. Advokids taught the twins' foster-to-adopt parents how to advocate for them and bring information to the juvenile court about their special medical needs. Like most young children who enter foster are, they were far from ordinary and deserved extraordinary care. The twins were adopted in 2014. Justin was born in jail. 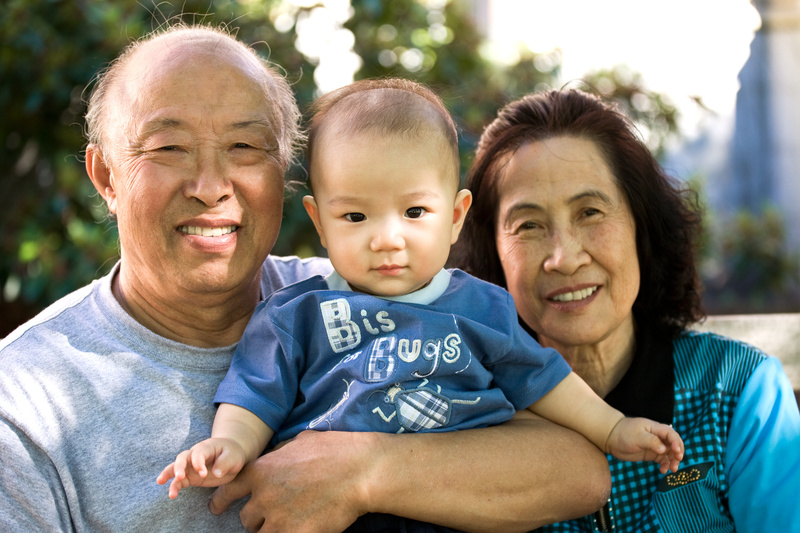 Shortly after his birth, the child welfare agency placed him in the care of his grandparents. At thirteen months of age, he was returned to his mother’s care in a drug rehabilitation facility. Justin’s grandmother, Diane, had many concerns about his emotional health. She knew that he was suffering from the loss of his close relationship with his grandparents and she was also concerned that her daughter was not yet capable of caring for Justin. Diane fought for visitation with Justin and for regular drug testing of her daughter. She felt like a lone voice advocating for Justin’s emotional health and physical safety. After six difficult months, Justin’s mom was re-arrested and Justin once again entered the dependency system. He was immediately placed back with his grandparents, but it would take years of Diane's continued advocacy before the courts freed Justin for adoption by his grandparents. Advokids taught Diane how to access the Juvenile Court, how to fight for the right to visit Justin in the rehab facility, and how to request “de facto” parent status in order to advocate for Justin at every step of the legal proceedings. 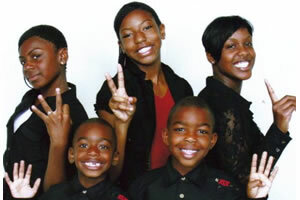 Advokids helped Shanita become a legal guardian of her siblings. Shanita and her siblings came into foster care when their mother died. They were placed with an uncle who was declared legal guardian. He failed to care for them and was abusive. Shanita vowed that when she became independent, she would free her siblings from her uncle and become their loving guardian. She was and had always been their stable, reliable caregiver. Shanita called the Advokids’ telephone hotline seeking help, hoping to have the children removed from uncle’s home and having her declared legal guardian… no easy feat, as Shanita was only 19 years old. Advokids counseled Shanita and reached out to our colleague, Robbi Cook, who volunteered her legal services and petitioned the Juvenile court. Shanita was declared guardian and is now raising her siblings, attending UC Berkeley, and living in UC Berkeley family housing! Advokids understands the importance of family and what it means to have one of your own. My siblings and I express an emotion that goes beyond the word grateful, appreciative, or thankful. It is a word that has yet been put into a language but it is shown everyday through the smiles, laughs, and silly face expressions of my siblings. Now we are assured that through our struggles we have someone to turn to. Thank you Advokids for standing in the gap so that our family would not fall through and thank you for standing a distance where we could reach you. 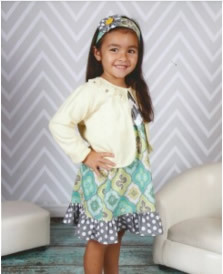 Advokids’ legal team helped secure a permanent home for Brianna. 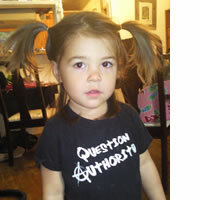 Brianna was born in prison and placed in a “foster to adopt home” at 3 days old. Her mother had lost 4 previous children to foster care. After living with her foster family for a continuous 12 months, the county recommended that Brianna be moved to a prison program 300 miles away where her mother would care for her in an institutional setting. Brianna’s foster parents turned to Advokids for assistance. With support from Advokids, the foster parents were able to direct the court’s attention to Brianna’s need for security and stability. One long and grueling year later, the court ordered that Brianna be adopted by her foster parents. She is loved and adored and thriving in her adoptive home. 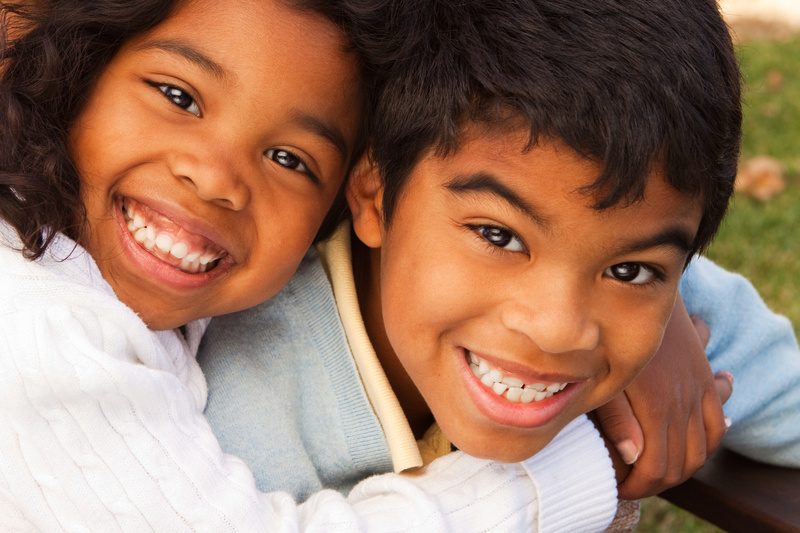 Advokids helped Michael and his brothers find security and a permant home. Six month old Alexander and twenty month old Michael were placed in Ceci’s home by their mother who was struggling with drug addiction and also struggling to raise her two older boys. The two older boys were later removed from their mother and placed in foster care with an uncle and his eight children. Despite reports of abuse and neglect suffered by the older brothers in their uncle’s care, Michael was removed from Ceci, his stable and caring “mother” figure for over one year and placed with his older brothers in the care of his uncle. Ceci called the Advokids’ hotline for help. Advokids counseled Ceci and taught her how to be the “voice of the children” and to petition the court on behalf of all of the boys. Advokids supported Ceci throughout the painful five month period when Michael was not in her care. She kept close contact with the brothers placed with uncle and tirelessly advocated for them. The uncle was ultimately charged with child abuse and now all four brothers are thriving in a safe and loving adoptive home with Ceci. Advokids helped Jael's grandmother find the care and support he needed. 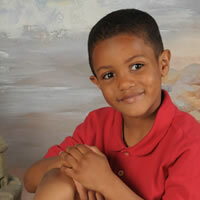 Jael came into the foster care system at 18 months old and was placed in the care of his grandmother. Due to trauma and neglect suffered during his infancy, Jael had special developmental needs and his grandmother was determined to provide him with all the help he needed to be healthy and successful. His grandmother reached out to Advokids for help with understanding and navigating the funding streams and the bureaucracies of the numerous county agencies responsible for providing Jael with developmental support. After nearly four years, Jael will finally be adopted by his grandmother who is now confident that he has all the support services he needs as he starts Kindergarten.